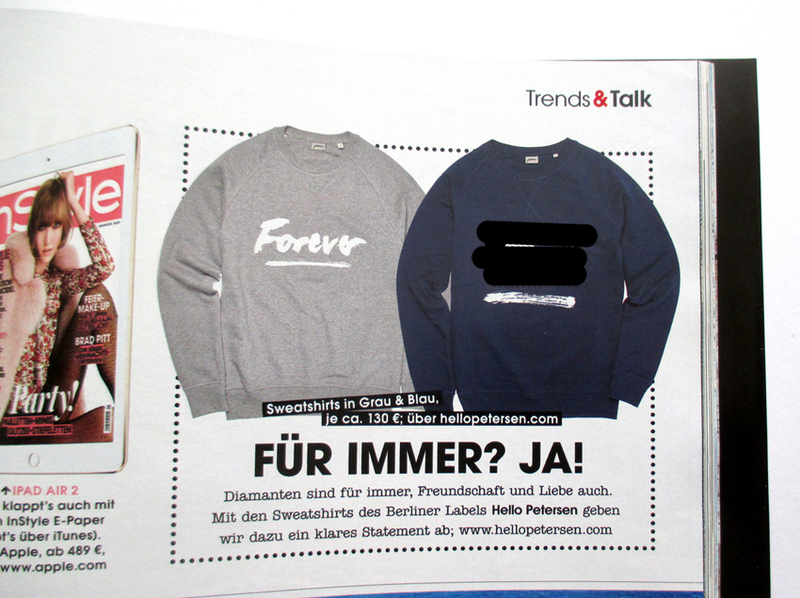 Unsere Sweatshirts waren im Frühling in der “InStyle”! Welch eine Riesenehre. 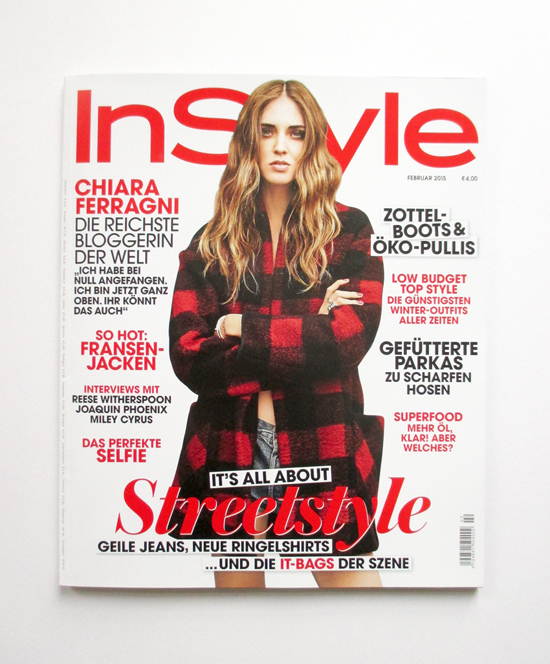 Dankeschön, liebes “InStyle”-Team. So aufregend! 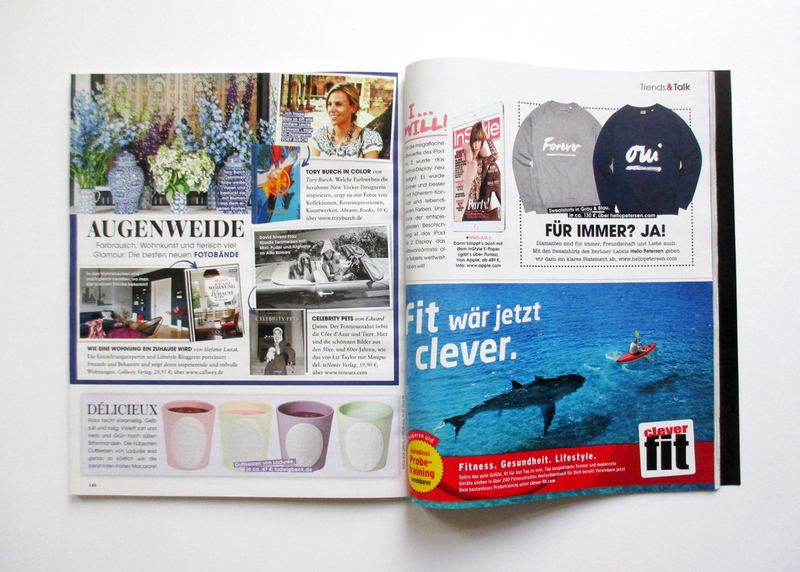 Our sweatshirts have been featured in the German issue of “InStyle” in January. Thanks, dear “InStyle” team members! We are so honoured. You guys rock! Dear Customers, because of legal rights we are not allowed to show the print on the dark blue sweatshirt any more. What do you think of these black bars we photoshopped for this blog post on that lovely product? Well, honestly: thanks for your understanding! And have a great day!